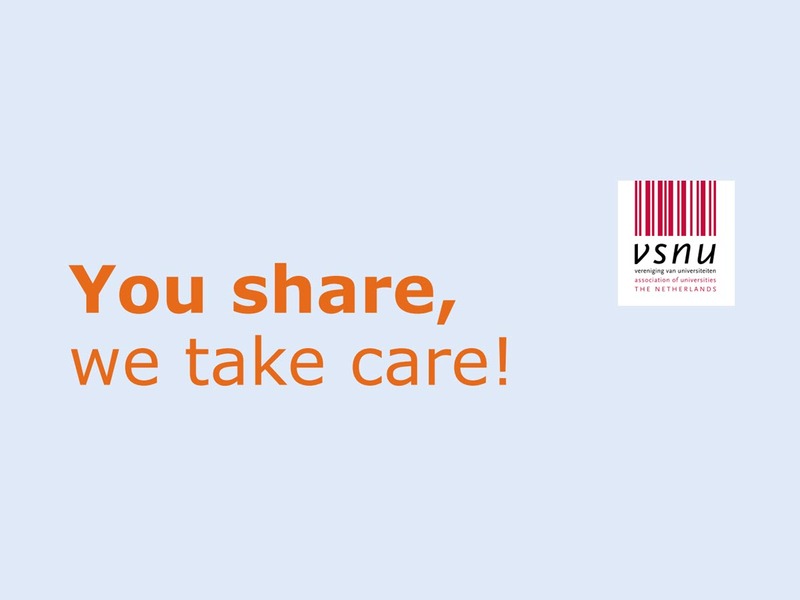 Today, 31 January 2019, VSNU launched the national pilot project “You share, we take care”. The goal of the project is to give open access another boost by making paywalled publications publicly available six months after publication. Maastricht University is one of the participating partners in this VSNU project. The ambition of the Netherlands is to achieve 100% open access by 2020. So far, Dutch universities have made agreements with large publishers about open access publishing. Unfortunately, this is not always possible for all types of publications and journals. Dutch copyright law offers an alternative. Article 25fa of the Copyright Act (Taverne Amendment) allows researchers to publicly share short pieces of scientific work (e.g. articles & book chapters), regardless of any restrictive publishers’ guidelines. The creator of a short piece of scientific work, based on research paid for in whole or in part by Dutch public funds, shall be entitled to make this work available to the public for no consideration after a reasonable period of time upon first publication, provided that clear reference is given to the original source/publication. In order to implement this amendment, Dutch universities have decided to start a pilot. On the basis of the Taverne Amendment, the publishers’ versions of short scientific works can be made available after six months via the university repository (Pure) if the researcher asks for this. At Maastricht University every faculty will approach selected researchers for their participation. If you have not been approached yet, but still want to participate in the pilot, contact Ron Aardening of the library to discuss the possibilities. The pilot starts today and has a duration of six months. Subscribe to the Library Update or the monthly Library+ Research newsletter and we ensure that you are aware of new services, support, apps and tools, training, and trends with a focus on library-related support and services.